Pictured learning to hang 10 are (from left) friends and siblings (ranging from ages 10-15): Solomon Levin, a student at Shlenker; Alex Raizner, a St. John’s School student, Morgan Raizner, a St. John’s student, Mickie May Levin, a St. John’s student and Brad Raizner, a St. John’s student. This crew from Bellaire has an annual tradition to spend spring break together in Galveston. 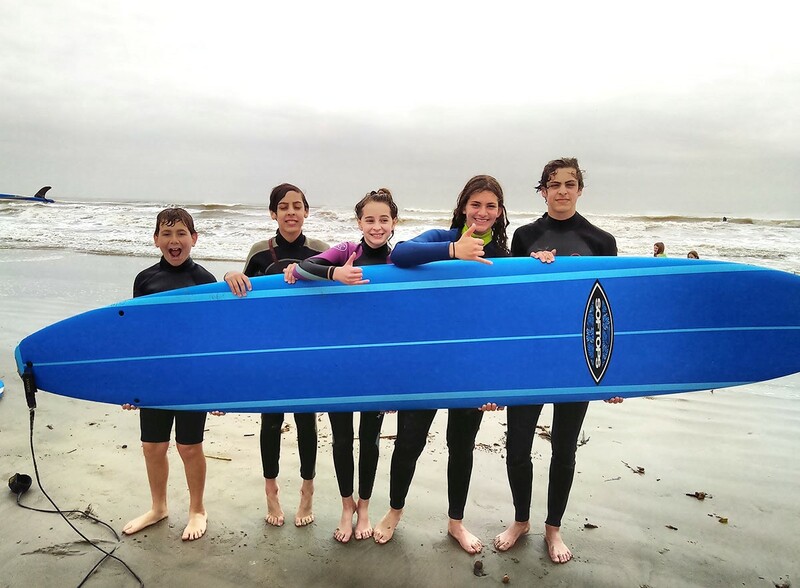 The kids enjoy learning to surf at Ohana Surf and Skate camp and the families – usually the Levins, Zimmermans, Katzes, Raizners, DeLeefs, Dows and Stanietzskys – rent beach bikes or walk along the beach. Other favorite traditions include picking up fresh fish from the fish markets to grill for meals, eating at Gumbo Bar on the Strand with dessert at Hey Mikey’s afterward, strolling along Pleasure Pier and spending time at Schlitterbahn. The families strive to make their spring break adventures as technology-free as possible.